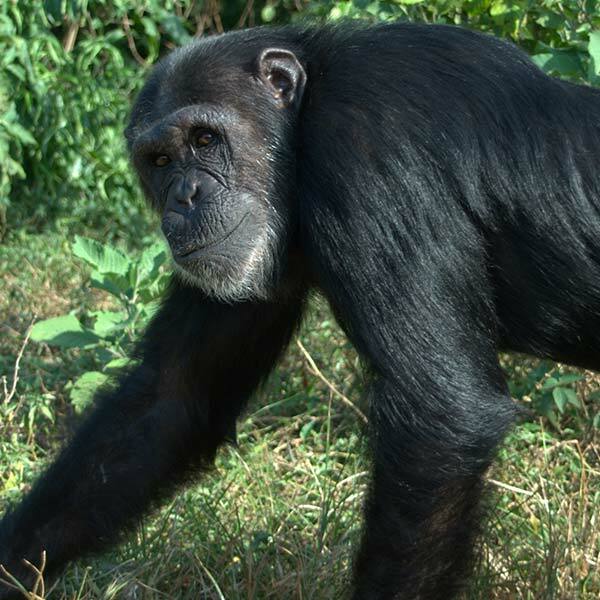 My name is Cindy and when I first arrived at Ngamba in 1998 I was very low-ranking and bullied all the time. But one day, I had had enough, and when the alpha male stole my food I attacked him and got it back, surprising all the other chimps and even myself! That gained me some respect and since then I have climbed in rank and made a lot of friends. My best friend is Baluku and I love him a lot.